Sri Lanka’s Muslims, though religiously obliged to observe a moon long fast, are not as abstemious at other times. They have their feasts and festivals which they look forward to with much delight. This is especially so of the Muslims of Colombo who have two great festivals and plenty of weddings to celebrate. In the olden days they found occasion to celebrate other events like circumcisions and regular mouloods or readings of religious panegyrics, which are now passing into oblivion. Those were the days when large overflowing families gathered together with spouses and children to enjoy some of the most memorable moments they would ever have, fond memories which older folk recall with relish to this day. Colombo’s Muslims are mainly Moors whose Arab or Indian ancestors espoused local women a long time ago. 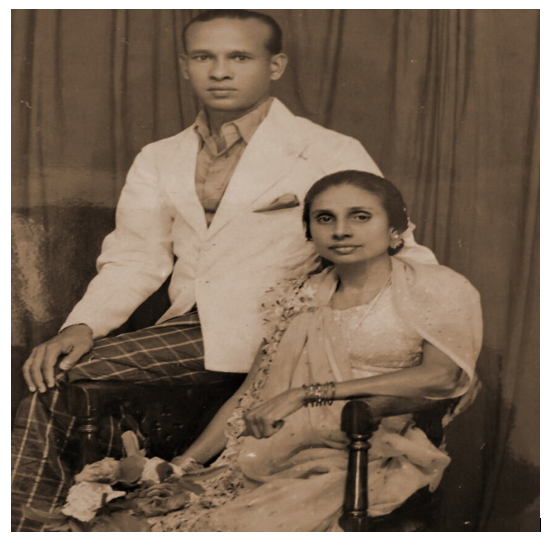 In the olden days, they were mainly concentrated in a flourishing little part of Central Colombo encompassing Old Moor Street, New Moor Street, Messenger Street, Barber Street, Grandpass, Wolfendhal and environs which was collectively known as Theruv, a Tamil word meaning ‘street’ or ‘highway’. 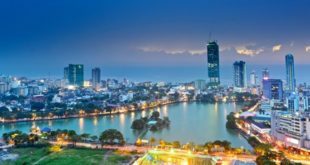 It seems that until the early part of the twentieth century, the greater part of Colombo’s Moors lived in these areas and that the drift to the south, to Colpetty, Bambalapitiya and Wellawatte took place later. 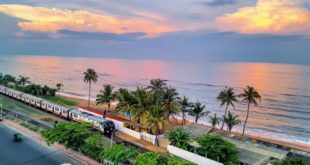 One such early bird was Abdul Cafoor, a well known gem merchant, who moved from Colombo Fort to Icicle Hall, a charming building by the seashore of Colpetty. According to Mohamed Sameer, the author of Personages of the Past. 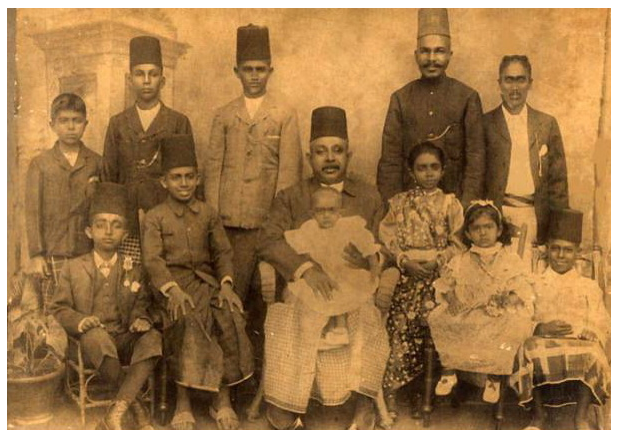 Moors, Malays and other Muslims of the past of Sri Lanka (1982), the Moors who had lived in the Moorish quarters of New Moor Street, Old Moor Street and the surrounding areas found that some of their more prominent members like A. M. Wapichi Marikar and Haji Ismail Effendi’s family were migrating to Colombo South after the First World War. As a result, Moors from the Moorish quarters began to migrate to Colombo South to areas like Wellawatte and Kirulapone. In the olden days, say a hundred years ago or so, these houses formed little knots, sometimes grouped around a mosque, showing what a close-knit community they were. For instance, all houses in Old Moor Street are said to have been interconnected with doors which could be accessed in times of danger or weddings, when two or more houses were opened for the ceremony. The families, many connected by marriage, were very united, so much so that they did not take offence when any of their number were given funny nicknames by the others. For example, we have M. M. Thawfeeq in his Muslim Mosaics (1972) referring to the practice of calling individuals, and later their families, by nicknames in the Theruv area in the early part of the last century. Some nicknames, he says, may appear derogatory, some flattering, but none, he is certain, were given with malice. “It just happened that there were scores of Hamids, Yoosoofs, Haniffas, Mohideens etc. in that concentration of Ceylon Moors”. The easiest way out, he says, were nicknames emphasizing their attributes, penchants, failings and even physical defects. Among such names were Baang Koli ‘Turkey’, Porichakoli ‘Fried Chicken’ , Katchcha Karupatti ‘Bitter Jaggery’, Velli Baba ‘Silver Baby’, Bavulthavaly ‘Stomach ache’ and Anjishazathu Mapulle ‘Five Cents Bridegroom’ “who traveled as such in a decorated tramcar with his entourage”. In the olden days, any excuse would do for your typical Moor to indulge in a feast, not just for one, but for seven successive days. This was seen for example, in the circumcision of a boy, which was celebrated with much fanfare, unlike that of a girl, which was a private affair taken care of by the womenfolk. The ceremony was called sunnattu kaliyanam (circumcision wedding) and the boy, usually between 7-10 years of age, was given the title of sunnattu mappula (circumcision bridegroom). Affluent folk would take the boy to be circumcised around the neighbourhood in procession in a car with an open hood, that moved very slowly so that all may catch a glimpse of the smartly dressed lad. This usually took place at night with gas lamps carried by hired hands lighting the procession. The boy, who would be done by a traditional barber known as Osta would be given gifts of money and gold rings by kith and kin. Then followed the seven night festivities known as el-naal sappadu (seven day feast), which were grand affairs back then. 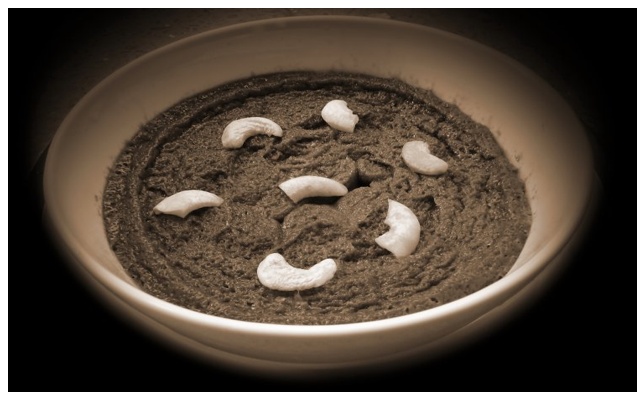 It began with the sunnattu sappadu (circumcision feast), usually a sumptuous dinner for friends and relatives followed by six nights of feasting. Richer folk celebrated the occasion in still grander style. Take the account of Ahmed Hussain’s circumcision given in A. H. Macan Markar’s Short Biographical Sketches of Macan Markar and Related Families (1977), which took place at Villa Stamboul, Colpetty, on 14th December, 1919, with the extravagance common in those days. “The “Sinnathu Mapulai” had a special suit made for the occasion and also a suite of bedroom furniture. There was a mawlood-un-Nabi recital, followed by a sumptuous dinner for the large number of guests present. The house was illuminated with electric jets. The circumcision was performed by Jalal, the family barber from Galle. On the ensuing six nights, all relations and other guests were welcomed to dinner, the menu being varied each night”. Another occasion that called for feasting were the mauloods, group recitals of religious panegyrics in memory of the family and companions of the Prophet. These included the badur maulood, commemorating the martyrs who died in the Great Battle of Badr that took place in the days of the Prophet. This was usually recited in Arabic by males who formed a circle or square. Women, too, had their own events,prominent among these being the recital of the Talai Fatiha, a composition in Arabu-Tamil in honour of Fatima, the beloved daughter of the Prophet. The women did it in better style than the men. They would be seated under a white cloth hanging over like a canopy. Strings of flowers known as malliyapoo would be tied to the canopy, and little trinkets hung on aranakatta or safety pins. These usually comprised of pallimutai (small bottles containing small coloured lozenges) and lightweight toys like water guns and miniature dolls. 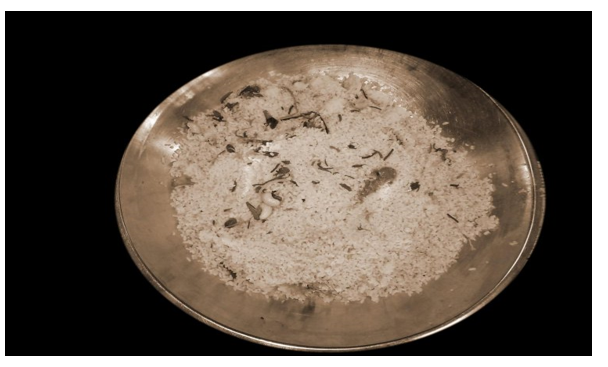 Once the recital was over, the women would reach out for the trinkets to give their little children, after which every family received their share of neisoru (ghee rice). However, it were the weddings that provided the greatest entertainment for all and sundry, rich and poor alike, with grand feasts never seen since they were had over a century ago. 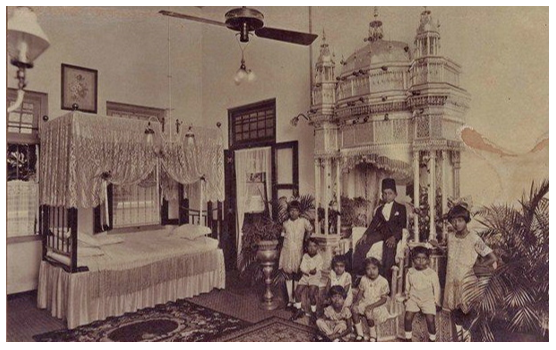 Ahmadu Bawa says in his Marriage Customs of the Moors of Ceylon, contributed to the Journal of the Royal Asiatic Society of Ceylon in 1888, that on the day of the wedding, a rich feast takes place at the bridegroom’s house. The provender is served in trays, each tray consisting usually of a dish of ghee-rice, a fried fowl, a dish of mutton curry, another of beef, half a dozen vegetable curries, one or two pickles, soup, curdled milk and other things sufficient for eight or ten people. After the men have finished their meal, women are entertained in a similar manner. Towards evening or night, the bridegroom, having received presents and congratulations from his friends, departs to the house of the bride amidst a flourish of tom toms, cymbals, and flutes, under a brilliant display of fireworks, blue lights and pendant lamps. He sits in an open carriage if the bride’s house is distant, or goes on foot attended by two boys dressed up for the occasion and an immense concourse of relatives, friends and the ‘hoi polloi’ to the number of several hundreds. But now enough talk of feasts. Let us now talk of the fasts, especially since we are in the holy month of Ramadan, which as every good Muslim believes is the month the angels, including the archangel Gabriel, descends with blessings from the Good Lord. Ramadan is the month of fasts and the good Muslim casting away worldly things engages in a moon-long fast from dawn to dusk. As noted by M. M. Thawfeeq in his Muslim Mosaics (1972), the Muslim household of Ceylon a generation ago awoke for the pre-dawn meal taken before the fast not by the alarm clock, but by a band of men, Indian fakirs, dressed in turban, long black capes, and cloth, with beads hung round their necks and arms, who used to roam the streets with a staff in one hand and a hurricane lantern in the other. He notes that they worked both sides of the streets, knocking at the doors of slumbering Muslims with their staffs and shouting “Otto Bawa Otto”, a mumbo-jumbo for “wake up, it’s time for starting your fast”. These Indian fakirs, says Thawfeeq, were a devoted lot. “They worked their areas to a plan. And it was easy for them to operate as the Muslims of two or three decades ago, especially in Colombo and main cities, lived huddled together in Muslim-predominated streets like New Moor Street, Old Moor Street, Messenger street, etc”. In the olden days, until about fifty years ago or so, there was a canon called Beerangi at Colombo Grand Mosque in New Moor Street that would be shot at the time of breaking the fast. When the new moon was sighted, the canon would boom to announce the festival the following day. The Muezzin (caller to prayer) of the mosque, along with workers, would stuff into the barrel newspapers pressed into boluses. The barrel would be moved upwards and the newspaper boluses put in and pressed hard with a metal implement. Gunpowder would then be poured into a little hole and the canon would be fired facing westward. 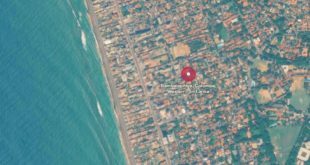 It gave a loud boom that could be heard upto Zahira College in Maradana. This final boom would announce the beginning of the Great Festival of Eid-Ul-Fitr, and the return to the usual life of feasting on every possible occasion.